Sound Barrier Systems has been at the forefront of soundproof technology for residential and commercial applications for more than 30 years. We have improved the lives of many thousands of people since the introduction of our first patented double glazing solution for windows and doors. Our products undergo continuous research and development to ensure we provide the highest possible acoustic ratings of any product in the market and have been tested in NATA laboratories to certify the acoustic effectiveness. 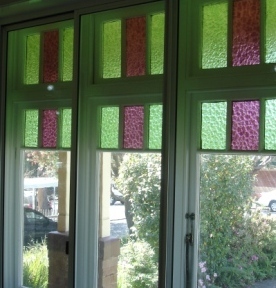 Sound Barrier is a designer, supplier, manufacturer and installer of soundproof window and door joinery and, as a result, will provide the most attractive and effective soundproofing solution to suit your home or office. We are able to customise our effective products to suit your building, whatever the style of your existing windows and doors or type of construction your building is. Our tradesmen will craft a solution that works in harmony with your existing architecture. Our experience in manufacturing of soundproof windows and doors, provides you with a custom solution at factory to you pricing so you get a better solution at no more cost than our competitors offering. Sound Barrier Systems won the prestigious Australian Design Council Selection Award and, with federal government assistance, exhibited the product at International Trade Shows resulting in sales in Europe, UK and South East Asia. We were the major supplier of acoustic aluminium windows and doors to the Sydney Aircraft Noise Insulation Project and a major supplier to the Adelaide Aircraft Noise Insulation Project. Currently, Sound Barrier Systems are an approved supplier to the R.T.A. Noise Abatement Program. With continuous product development, acoustic testing and our desire to offer superior customer service and satisfaction to all clients, be they homeowners who need one window, to designers of building refurbishment projects that require 1000 windows, Sound Barrier Systems intend to remain at the forefront of the noise attenuation industry. 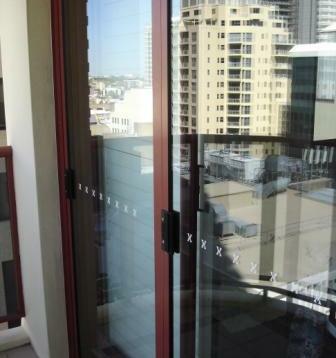 We supply and install aluminium and timber soundproof doors. Our soundproof windows are one of the highest acoustically rated in the market.